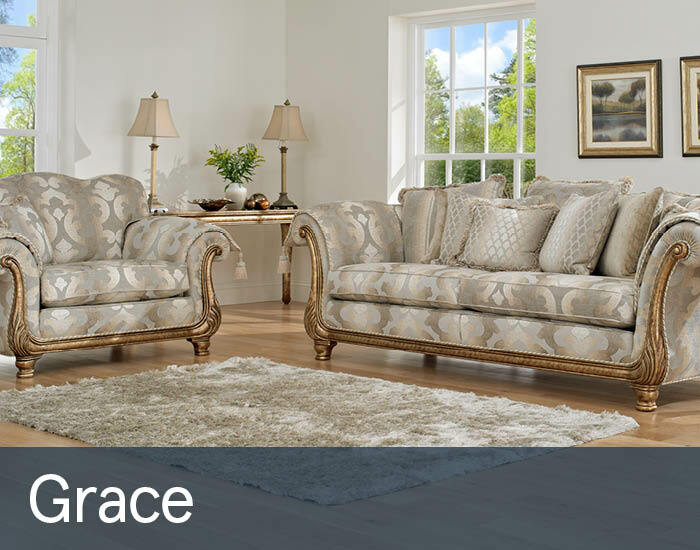 Grace’s grand proportions with its elegant high scroll arms and roll back are perfectly complemented by an ornate Italian hand-carved painted frame to guarantee a real style statement in even the grandest of settings. Its fashionable mix of opulent coordinating fabrics have a definite air of sophistication. Each piece is individually bench-made by expert craftsmen using the very best materials to ensure the perfect finish to satisfy even the most discerning of tastes.